Its our pleasure to welcome you all to the ‘Plasma Physics Asiapacific 2019’ The conference adopts a timely theme “Expanding Innovative Possibilities for a better Tomorrow’’. 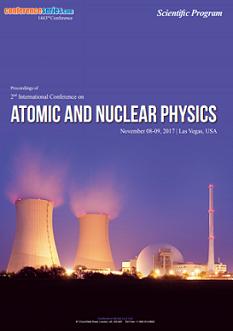 This conference aims to bring together the prominent researcher’s academic scientists, and research scholars to exchange and share their experiences in every allied concept of Atomic, Nuclear and Plasma Physics. The Committee is looking forward to organizing an exceptional meeting with new, interesting sessions & discussion and to meet new people where you can share your subject and passion. 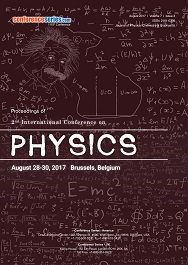 The conference on Atomic, Nuclear and Plasma Physics will focus on many interesting and knowledge empowering & enhancing scientific sessions and covers all frontier topics & concepts in Physics. Physics touches every aspect of our lives. It involves the study of matter, energy and their interactions. As such, it is one area of science that cuts across all other subjects. Other sciences are reliant on the concepts and techniques developed through physics. The structure and properties of atoms are the basis of Chemistry, and hence of Biology. 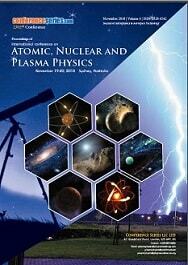 Atomic Physics underlies the study of Astrophysics and Solid State Physics. It has led to important applications in Medicine, Communications, Lasers etc., as well as still providing a testing ground for Quantum Theory and its derivatives, Quantum Electrodynamics. Atomic energy is the source of power for both nuclear reactors and nuclear weapons. This energy comes from the splitting (fission) or joining (fusion) of atoms. Plasma Physics is the study of a state of matter comprising charged particles. Plasma can only be artificially generated by heating or subjecting a neutral gas to a strong electromagnetic field to the point an ionized gaseous substance becomes increasingly electrically conductive, and long-range electromagnetic fields dominate the behavior of the matter. Plasmas are found naturally in stars and in space. Atomic physics is the subfield of AMO that studies atoms as an isolated system of electrons and an atomic nucleus. Atomic energy is the source of power for both nuclear reactors and nuclear weapons. This energy comes from the splitting (fission) or joining (fusion) of atoms. Atomic physics which deals with the atom as a system consisting of a nucleus and electrons. Nuclear physics is the field of physics that studies atomic nuclei and their constituents and interactions. Everything we can see in the night time sky is made of nuclear matter. The nuclear physics deals with the nucleus as a system consisting of a nucleon i.e., protons and neutrons. Plasma physics is the study of a state of matter comprising charged particles. Plasmas are usually created by heating a gas until the electrons become detached from their parent atom or molecule. This so-called ionization can also be achieved using high-power laser light or microwaves. Plasmas are found naturally in stars and in space. Lightning is an example of plasma present at Earth's surface. Typically, lightning discharges 30,000 amperes at up to 100 million volts, and emits light, radio waves, X-rays and even gamma rays. Plasma temperatures in lightning can approach 28,000 K (28,000 °C; 50,000 °F) and electron densities may exceed 1024 m−3. Molecular Physics is the study of the physical properties of molecules, the chemical bonds between atoms as well as the molecular dynamics. Its most important experimental techniques are the various types of spectroscopy; scattering is also used. Molecular physics is concerned with atomic processes in molecules, but it is additionally concerned with effects due to the molecular structure. Optical physics is the study of the generation of electromagnetic radiation, the properties of that radiation, and the interaction of that radiation with matter, especially its manipulation and control. The three major branches of optical science. Geometrical optics, the study of light as rays. Physical optics, the study of light as waves. Quantum optics, the study of light as particles. Cosmology studies the universe beyond Earth, including its formation and development, and the evolution, physics, chemistry, meteorology, and motion of celestial objects (such as galaxies, planets, etc.) and phenomena that originate outside the atmosphere of Earth. Its branches include – Astrobiology, Astrophysics, Planetary Science. Other disciplines that may be considered part of Astronomy are – Archaeoastronomy & Astrochemistry. Particle physics (also high energy physics) is a branch of physics that studies the nature of the particles that constitute matter and radiation. Modern particle physics research is focused on subatomic particles, including atomic constituents such as electrons, protons, and neutrons, produced by radioactive and scattering processes, such as photons, neutrinos, and muons, as well as a wide range of exotic particles. Quantum mechanics (QM; also known as quantum physics, quantum theory, the wave mechanical model, or matrix mechanics), including quantum field theory, is a fundamental theory in physics which describes nature at the smallest scales of energy levels of atoms and subatomic particles. The applications of Quantum Mechanics include Electronics, Cryptography, Quantum Computing, Macroscale Quantum Effects, Quantum Theory. A dusty plasma is a plasma containing nanometer or micrometer-sized particles suspended in it. A grain plasma contains larger particles than dusty plasmas. Examples include comets, planetary rings, exposed dusty surfaces, and the zodiacal dust cloud. Colloidal plasmas may "condense" under certain conditions into liquid and crystalline states, while retaining their essential plasma properties. This "plasma condensation" therefore leads to new states of matter: "liquid plasmas" and "plasma crystals." The experimental discovery was first reported in 1994. Liquid and crystalline phases can be formed in so-called complex plasmas — plasmas enriched with solid particles in the nano- to micrometre range. The particles absorb electrons and ions and charge negatively up to a few volts. Due to their high mass compared to that of electrons and ions the particles dominate the processes in the plasma and can be observed on the most fundamental — the kinetic level. Through the strong Coulomb interaction between the particles it is possible that the particle clouds form fluid and crystalline structures. The latter is called 'plasma crystal'. Thermal plasmas have electrons and the heavy particles at the same temperature, i.e., they are in thermal equilibrium with each other. Nonthermal plasmas on the other hand are non-equilibrium ionized gases, with two temperatures: ions and neutrals stay at a low temperature, whereas electrons are much hotter. A kind of common nonthermal plasma is the mercury vapor gas within a fluorescent lamp, where the "electrons gas" reaches a temperature of 10,000 kelvins while the rest of the gas stays barely above room temperature, so the bulb can even be touched with hands while operating. Active plasma regions, these carry field-aligned currents which give them filamentary or sheet structure with thickness down to a few cyclotron radii (ionic or even electronic). They transmit energy from one region to another and produce electric double layers which accelerate particles to high energies. Active regions cannot be described by hydromagnetic theories. Boundary conditions are essential and may be introduced by circuit theory. Passive plasma regions, which can be described by classical hydrodynamic theory. They transmit waves and high energy charged particles but if the field-aligned currents exceed a certain value they are transferred into. 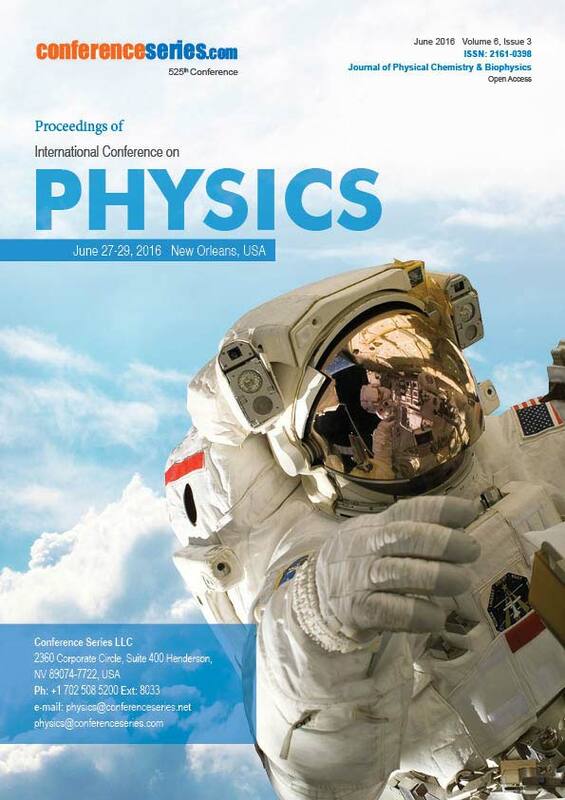 Conference Series look accelerative to welcoming you to a stimulating, educational and enjoyable program all over the world with the intent of emphasizing the applications of physics and its sessions research to the regeneration of the global strength. Physics is one of the growing fields and scope in several areas such as development in all different types. The “International Conference on Atomic, Nuclear and Plasma Physics” (Plasma Physics Asiapacific 2018) hosted by Conference Series llc LTD during November 19-20, 2018 at Holiday Inn Warwick Farm in Sydney, Australia with a theme “Together Towards Tomorrow. Discover, Invent and Educate in the Plasmic realm of Physics”, was a great success where eminent Keynote Speakers from various reputed institutions with their resplendent presence addressed the gathering. 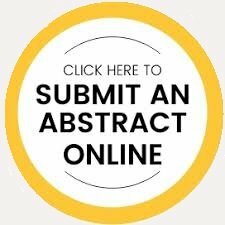 The pragmatic meeting organized by Conference Series llc LTD has received generous response from the Editorial Board Members of Conference Series Journals as well as from Eminent Scientists, Talented Researchers and Young Student Community. Researchers and students who attended from different parts of the world made the conference one of the most successful and productive events in 2018. The conference was marked with the presence of Renowned Scientists, Talented Students and Business Delegates driving the two day event into the path of success with thought provoking keynote and plenary presentations. Conference Series llc LTD would like to convey a warm gratitude to Chair who contributed effervescently for the smooth functioning of the event which includes Dr. John Owen Roberts, Open University, UK. Last but not the least Conference Series llc LTD Conferences wishes to acknowledge with its deep sincere gratitude to all the supporters from the Editorial Board Members of our Open Access Journals, Keynote speakers, Honorable guests, Valuable speakers, Poster presenters, students, delegates and special thanks to the Media partners for their promotion to make this event a huge success. Our sincere thanks to Organizing Committee Members for their gracious presence, support and assistance towards Plasma Physics Asiapacific 2018 Conference, and with their unique feedback, Conference Series llc LTD would like to announce the “2nd International Conference on Atomic, Nuclear and Plasma Physics” to be held during September 25 - 26, 2019 at Hong Kong. Come, cogitate and conflate your ideas at our exalted event.